Founded in 1978, Waikiki Community Center is located in the heart of Waikiki at 310 Paoakalani Avenue. (Mountain side of Kuhio Avenue, just before Ala Wai Blvd.) and services the needs of the community through quality programs and services. Waikiki Community Center provides multigenerational programs and social services for families, senior adults and children who live, work and visit Waikiki. Join our fun daily activities, classes and chance to meet others! Over 45 classes held each week - learn to dance (Ballroom, hula, tap, line, hula, Salsa); play an instrument (ukulele, piano); keep fit (Yoga, tai chi, aerobics, kickboxing, Zumba! Walking tours); learn more about health and medical benefits and so much more! A great opportunity to meet new people and remain active. Through our commitment, experience, and expertise Waikiki Community Center has established a community and business relationship with our members that will last a lifetime! Over 15,000 people utilize the Center each year. Waikiki Community Center, a 501.c.3 non profit agency is led by an all-volunteer Board of Directors located in the heart of Waikiki. Approximately 25% of Waikiki's residents are over the age of 62, many of whom live alone or without family nearby. WCC provides a wide variety of educational and social activities to help maintain their physical, cognitive and emotional health and independent lifestyles to avoid premature aging, isolation and institutionalization. On any day of the week, you'll find older adults (and young adults, too) participating in dance classes (ballroom, line, tap), wellness classes, yoga, hula, English As A Second Language, foreign language classes, music, bridge, arts and crafts and outings to places old and new. We welcome you to Waikiki Community Center, stop by and visit us! For seniors and their caregivers, finding the right services to assist with challenges, identifying the right support systems, and contacting and explaining one's situation can be very overwhelming! Sometimes seeking help is like speaking a foreign language. Let us help! 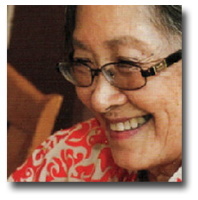 Waikiki Community Center is so fortunate to have Judy Taketa, MSW, LSW working with the Malama Seniors in Waikiki Program. 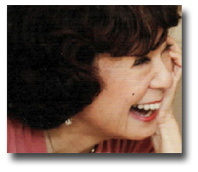 Ms. Judy Taketa is on-site and available for appointments on Tuesday from 8:30 a.m. to 3:30 p.m. Call (808) 923-1802 to schedule an appointment for this valuable, free service. The Waikiki Community Center is a private, nonprofit agency that provides an early childhood education program during the weekday. Our Early Education Center provides families with quality education and care in a safe and nurturing environment by promoting individual growth and development. meeting the needs of today's working parents, especially those who live or work in Waikiki's 24/7 travel industry. We promote individual growth and development and provide a variety of developmentally appropriate skills that nurture social, emotional, physical and cognitive growth. I AM! I CAN! Is our educational philosophy. Our goal is to prepare young children for lifelong learning by developing fundamental skills to think creatively, to use all their senses, to build self confidence, and grow physically, emotionally, cognitively and socially. These fundamental skills provide young children with the foundation to become successful learners in kindergarten. 100% of our children regularly achieve a majority of early childhood developmental milestones that fostered their growth, development and school readiness. WCC's Early Education Center is licensed by the State of Hawaii and enrolls up to 84 children at one time. A TUITION ASSISTANCE program is available to qualifying families with limited income at the beginning of each school year. Please contact our Preschool Director at 923-1802 for an application and more information. This program operates year-round, closing only two (2) weeks a year for facilities maintenance and major holidays. We're closed for 12 holidays as well as 3 teacher professional development days. 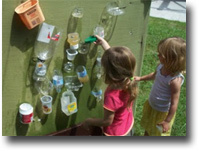 The Weekday Program offers education for children: 18 months - preschoolers. Hours: Monday thru Friday, 6:30 a.m. to 5:30 p.m.
Extended day: Monday thru Friday, 5:30 p.m. to 6:00 p.m. (limited to 8 students). Scholarship and Tuition Assistance are available, please check with the Early Education Director for an application and questions. The following requirements are needed before your child can start school. Application Form with applicable registration fees. Medical and Emergency Form, Parent Handbook Acknowledgement Form, Photo and/or Story Release form and Regular Outing Permission Form. Form 14 (Student's Health Record), Physical, and TB clearance - must be completed in Hawaii. TB must be done in Hawaii. (Please allow at least one month (30 days) to actual enrollment to schedule and conduct a physical and TB test in Hawaii). USDA Income Eligibility Statement and Meal Benefit form. Advance reservations are required (one month in advance) and must meet all enrollment requirements listed above. Form 14 and Form 908 may be obtained from any Health Care provider, doctor's office or medical clinic. The physical and TB (tuberculosis) clearance must be completed in the State of Hawaii. Each Tuesday, a social worker is at Waikiki Community Center to help you find and secure appropriate services for senior citizens. The social worker is available on Tuesdays, from 8:30 a.m. to 4:30 p.m., in the Lounge, located across from our administrative office. Emergency Food Pantry Amidst the luxury and wealth of Waikiki, you'll find many older residents, young families, and homeless individuals struggling to make ends meet on a daily basis. Many are in need of food to sustain themselves. WCC provides nonperishable food to over 800 individuals and families each year through its Emergency Food Pantry. The pantry is stocked through the generosity of neighborhood community groups, schools and businesses. Referrals are made to community resources if additional services are need. The Food Pantry is open Tuesday 1-4 p.m. Photo ID needed, limited to 6 visits a year. Thrifty Treasures Thrift Shop to benefit Waikiki Community Center. Low cost clothing, furniture, and personal goods are provided to residents on fixed incomes through WCC's Thrift Shop. Local businesses, hotels, and residents donate their "gently used" items for recycling through our shop. Check out the "specials" offered each month. Thrift Shop Hours are 10 a.m. to 1:00 p.m., Monday to Friday. Closed Thursdays and major holidays, credit cards accepted. Volunteerism is at the heart of Waikiki Community Center's operations. Volunteers lead and organize 95% of WCC's wellness, education, recreation and social activities offered. People of diverse backgrounds and all ages, from teens to seniors, volunteer at WCC. High school and college students, Rotary Clubs and other civic groups, Waikiki residents, and many others contribute their valuable time and talents to WCC's programs, events and community activities. WCC's participants also give back to the community as volunteers. They entertain at nursing home and community events. They work in WCC's preschool, read aloud to children and participate in special community events. They engage in neighborhood activities, such as neighborhood boards and crime watch units, to ensure the Waikiki's residents have a voice in government and that it is a liveable community. They create loving baby items and donate to mothers-to-be. They've stitched blankets for our war veterans. Our volunteers also assist with Sheraton Waikiki Wedding events and Royal Hawaiian Historical Tours. Seventy-five (75) WCC participants contribute over 1,000 hours each year in the community. To learn more about volunteer opportunities and ways to give back contact Jill at (808) 923-1802, ext 108. Join to Waikiki Community Center! 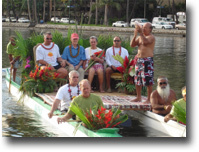 We invite you to join Waikiki's friendliest community center! Participate in the wide variety of classes and workshops held each day. Waikiki Community Center provides important opportunities for both young and older adults to learn new skills, maintain their physical and mental well-being, and to make social connections with others who live, work, play and visit Waikiki. Music and Dance: Line Dance, Tap Dance, Piano, Hula, HulAerobics, Noho (Sit Down) Hula, Ballroom Dance, Jam Sessions, Ukulele, Salsa, Zumba, Big Band and more! Health and Wellness: Tai Chi, Yoga (5 different styles! ), Low Impact Aerobics, Zumba, Pilates, Salsa, Kick Boxing, Karate, Health Fairs and Screenings, cooking demonstrations and speakers. On-site Social Worker and case management services (every Tuesday), massage and chiropractor services. Educational and Social Activities: Bridge, Scrabble, Mah Jong, Big Band Dance, McBingo, Neighbor Island trips and cruises, Local fun trips and excursions, Educational speakers, English as a Second Language (ESL). Culture and Arts: Hawaiian Culture and Language, Hawaiian and Japanese Crafts, Hula, Tahitian, HulAerobics, Ribbon Lei Making, French, Spanish, Painting, Lei Making, Watercolor Art, and Painting.